We have an extensive network of partners and resellers across the globe. If you cannot find your country in the list below then contact Tobii Pro head quarters in Stockholm who will assist in finding the best solution for your needs. BitBrain Technologies is a pioneer company in neurotechnology and biomedical engineering applications, with its own neuromarketing technology under the usenns brand. usenns laboratories are research platforms entirely developed for neuromarketing, which integrates: i) wearable and wireless neuro/biosensors (dry-EEG, GSR, BVP, motion and eye-tracking) customized for market research; ii) software to synchronize sensors, and to set up and execute fast and accurate neuromarketing projects; and iii) cloud infrastructure to translate physiological data into emotional, cognitive and behavioral indicators. Market research companies in more than 20 countries have already included usenns labs in order to offer neuromarketing services to companies as L’Oreal, P&G or Pepsico among many others. Brain Products dedicates itself to the research and understanding of the human brain and nervous system. 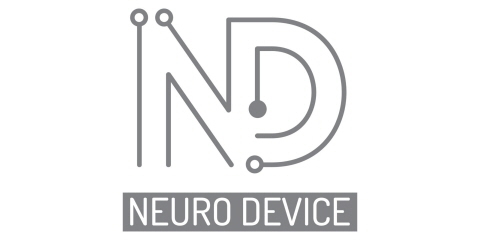 The focus on positively impacting neuroscience made Brain Products the worldwide leading manufacturer of hard and software solutions for neurophysiological research. Our solutions cover the application fields of general and affective neuroscience, visual ERPs, social interaction and behavioral sciences. Our active electrode technology makes us the first choice in mobile brain/body imaging research and similar disciplines. Since for us at Brain Products a solution is only a solution if it covers all the researcher´s needs, our soft and hardware easily integrates with Tobii products. Cedrus develops StimTracker, a product that allows researchers to send event makers to their Tobii eye tracker and EEG amplifier simultaneously, thus providing them with an identical timebase. Cedrus also develops Lumina fMRI-compatible response pad and SuperLab stimulus presentation software. Since 1997 Dr. Hornecker Softwareentwicklung is implementing signal processing and vizualisation modules in various scientific and commercial fields, for example methods for analyzing EEG and ECG data in medical applications, laser scanner data in forestry projects or processing and visualization of trading data for the German Stock Exchange in Frankfurt. The actual focus of Dr. Hornecker is the development of cloud-based signal processing frameworks as well as applications in neuromarketing. Founded in 1992, Electrical Geodesics Incorporated (EGI) are now over 750 EGI-supported research laboratories worldwide. EGI systems have supported the research in over 1000 publications in leading scientific and medical journals. EGI is the world leader in dense array electroencephalography (dEEG) technology allowing abrasion-free, gel-free, painless EEG application with the fastest application time in the industry. EGI systems are now widely used in human neuroscience research laboratories around the world, addressing topics such as the mechanisms of visual attention, emotion regulation, working memory, language acquisition, autism research, neurophysiological processes of normal sleep, etc. EGI systems carry the highest level of regulatory clearances such as CE, CSA, FDA, etc. 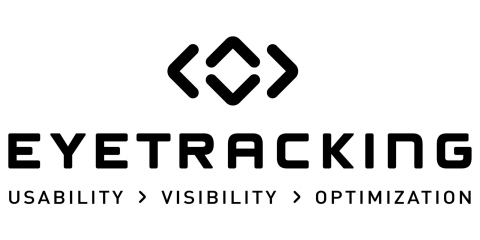 EyeTracking, Inc has been at the forefront of innovation in virtually every area of visual behavior and cognition research. Our technology provides robust solutions for improving human performance, user interfaces and training. Monitor viewing behavior and cognitive workload for both individuals and teams. Record eye tracking data across multiple displays and complex environments, and access powerful analysis capabilities with immediate playback after session. Products include EyeWorks eye tracking suite, Quad Server physiological data suite, and the Cognitive Workload Module for objectively measuring mental effort based on eye metrics. Clients include the US Navy, FAA, NASA, Sandia National Labs, and a range of Fortune 500 companies, Medical Institutions and Universities. Millisecond Software produces Inquisit, a powerful software platform for stimulus presentation and cognitive/neuropsychological testing in the lab and remotely over the web. Inquisit is used in over a thousand research institutions throughout the world for a wide range of psychological research and instruction applications. Millisecond offers a large and growing library of popular, ready-to-use psychological tasks, and provides an easy and flexible programming environment for customization and development of innovative new psychological measures. The MEDIABLIX IIT GmbH, affiliated with Bielefeld University, Germany, is a modern usability service provider examining media, point-of-sale, or software products according to the latest scientific findings and their long time experiences in eye-tracking research. The company uses Tobii Pro eye tracking technology to realize an interface between an eye and motion tracking system for the automatic 3D gaze vector calculation and visualization as well as object specific gaze data analysis. 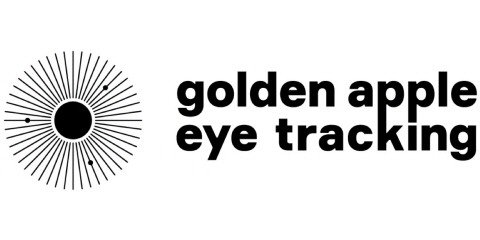 NeuroCode AG (founded in 2003) acts as a Contract Research Organisation offering preclinical drug discovery, certified clinical trials and advertisement research by combining Neurocode Tracking (fast dynamic quantitative EEG analysis) with eye tracking. NeuroCode AG has developed the fastest quantitative analysis of electric brain activity (single epoch length of 364 ms corresponding to about 3 pictures/second) to be used concomitantly with eye tracking. Surrogate parameters like visual perception, memory, focused attention, enjoyment, tension, mental activation are followed gaze by gaze quantitatively. Interpretation of spectral signatures of electric brain activity (Enkephaloglyphs) is based on more than 30 years experience of Prof. Dr. Wilfried Dimpfel (Justus-Liebig-University Giessen, Germany). As experts in the field of data integration and observational research, Noldus recognizes the challenges and brings in the knowledge to assist and advice partners. Moreover, Noldus is an international partner operating from 14 offices in 8 different countries and is represented by 12 distributors. Trust Noldus consultants to help you to gain insight in decision-making processes, appreciation, and more! In short, Noldus contributes to a world where technology applied to understanding behavior enables people to make better products and increase quality of life. Psychology Software Tools (PST) is a world leader in stimulus presentation software with over 100,000 users of their flagship product E-Prime®. E-Prime provides a truly easy-to-use environment for computerized experiment design, data collection, and analysis. E-Prime and Chronos® deliver millisecond-accurate stimulus presentation, responses, and sound output. PST also offers a hardware product line of advanced solutions for fMRI research, including an MRI Simulator, Digital Projection System, Button Response System, and Noise Cancellation Microphone. Their customer base is comprised of more than 5,000 research institutions and laboratories in over 60 countries. Qualisys is a leading provider of motion capture technology and has a long history of supplying research, engineering and sports facilities with high-end camera systems and expertise in capturing and analyzing movements. Qualisys offers a wide range of products and services and has offices in Gothenburg, Chicago and Shanghai. Our customers are found in the biomechanical research, sports biomechanics and medical sectors. Our systems are also used for engineering and specialized industrial purposes. Qualisys supports a range of different eye trackers, both head mounted and desktop mounted. The eye trackers are either fully integrated with QTM or frame-synced only with the Oqus camera system. Ryklin Software provides customized software solutions for eye tracking research, data analysis, and gaze contingent interaction. Shimmer develops and manufactures medical-grade wearable sensors. A leading provider of wearable sensing systems, they partner with scientists to do groundbreaking research and with companies to bring innovative sensing applications to market. Shimmer’s award-winning platform is used and trusted by well over 500 research organizations, including start-ups, Fortune 500 companies, and leading universities, in over 75 countries worldwide. Their GSR+ sensor sets the standard for wearable galvanic skin response measurement. It also captures a PPG signal, which is converted to heart rate (HR) using the Shimmer ear clip or optical pulse probe. This sensor is integrated into Tobii Pro Lab for simultaneous recording and automatic synchronization of GSR and eye tracking data from screen-based eye trackers from Tobii Pro.